Norway wants two-thirds of all boats carrying both passengers and cars along its jagged and windy Atlantic coastline to be electrified by 2030. 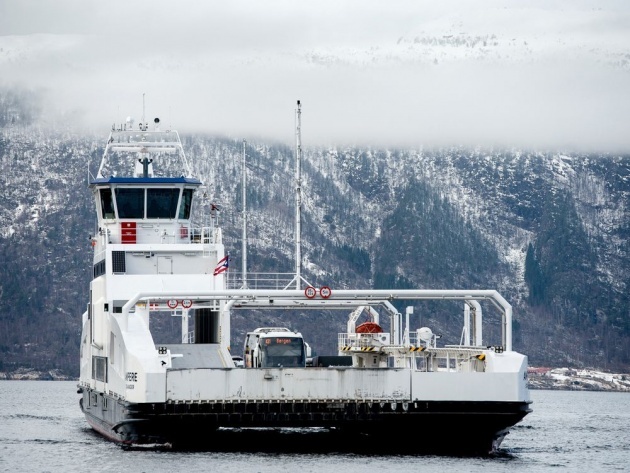 Not far from Norway’s North Sea oil rigs, shipbuilders are assembling some of the first ferry boats ever to be powered entirely by batteries. For years, the yard, nestled against the deep-blue sea waters and snow-clad mountains of the country’s deepest fjord, mostly made fuel-guzzling boats for the oil industry. But orders vanished as crude slumped in recent years. Now, like other Norwegian industries, its future prosperity depends on going green. “If you look at the next five years, this is what we’ll be doing,” said Erlend Hatleberg, a project manager at Havyard Group, which runs the Sognefjord shipyard that’s switched to specializing in boats with battery technology similar to plug-in cars. “We were in a really deep trough. But activity is back.” While progress in electrifying the world’s excessively polluting shipping fleets is miles behind advances in automobiles, Europe is making initial strides as Paris Climate Accord goals to cut carbon dioxide emissions loom large. Dozens of battery-powered boats that can move through inland waterways in Norway, Belgium and the Netherlands are about to make their first voyages, including some able to run fully automatically without a crew. Nowhere is this push more prevalent than Norway, a country where almost all electricity produced is hydropower, the state oil company is expanding into offshore wind farming and people drive more electric cars, per capita, than any country in the world.